Marissa Meyer, author of Heartless, tells us about the process of writing the novel and the themes of love, loss and destiny that run through the book. 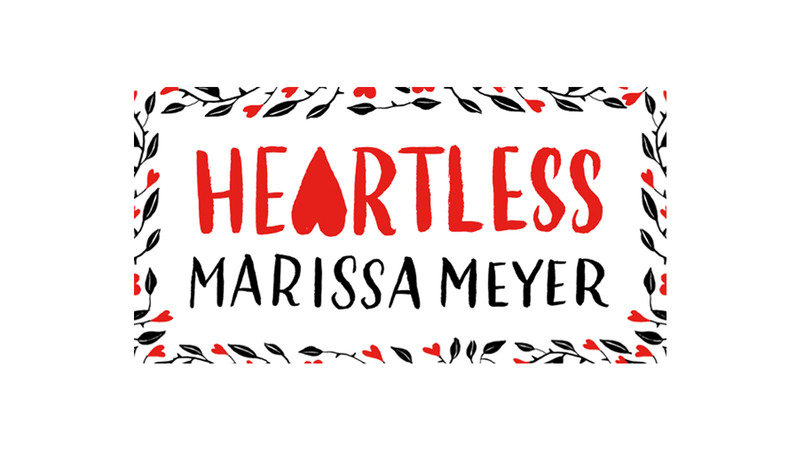 Marissa Meyer, author of Heartless, the untold story of Wonderland's Queen of Hearts, talks about her writing process and the themes of love, loss and destiny that run through her novel. As a writer, I rarely stop to think about the themes in my books until well into the writing process. Certainly it never comes into my thoughts in the first draft, and rarely even the second. Sometimes I don’t stop to give serious consideration to the themes—the message, the moral, the underlying meaning— until I’m nearly done revising the work. My goal is to tell a story that will enthrall and entertain the reader first and foremost. But of course, you also want the story to resonate with readers on a deeper level, too, if at all possible, and that tends to be the work of the themes that are woven in between all that kissing and monster-slaying. When I did finally stop to ponder the themes that had risen up through the story of Heartless, in which I attempt to tell the origin story of Alice in Wonderland’s Queen of Hearts, two themes became apparent: the relationship between love and loss, and the question of destiny. Almost every character’s path, and certainly that of my main character, Catherine, in some way deals with these concepts. For love and loss, there is that famous quote from Lord Tennyson: “Tis better to have loved and lost than never to have loved at all.” It is a statement that I think many of us accept easily, without giving much serious consideration. But is it better, truly? Heartless explores that question and, I think, reaches different conclusions for different characters, and I imagine probably for different readers as well. Catherine loses a lot by the end of the book, and so her losses feature most prominently in the story—is she better off having loved? Who can say for sure? But there is also a great deal of loss for the Hatter, the King, Mary Ann, the Cheshire Cat, even the story’s main villain (who I won’t name here… spoilers!) So, is it better to have loved and lost for all of them, or does the question remain unanswered? And then there is the issue of destiny, something that features prominently in a lot of fiction, perhaps because it’s something many of us question at various points in our lives. Is our fate predetermined and, if not, how much control over it do we really have? From the start of Heartless, anyone familiar with Alice in Wonderland will have a sense of where Catherine’s ultimate destiny leads, but I wanted to write the story in a way that suggests it isn’t inevitable. There are choices made; there are consequences. There are paths not taken. There are doors left unopened. But at the same time, no one in the story is ever completely in control of their own fate. Stories intertwine, just like in real life. Other people’s decisions might affect you and your family, just like your choices can have an impact on the lives of others. So was Catherine’s fate always pre-determined? Was she destined to become the angry, embittered Queen? Or was it a result of her own choices and actions? Or, perhaps, she was merely the victim of the strings being pulled by someone else. I don’t have an answer, but it’s certainly the sort of question that I enjoyed picking apart as I wrote Cath’s story, and that I hope will give readers cause to stop and consider as well. Long before she was the Queen of Hearts, Catherine Pinkerton was just a girl who wanted to open a bakery with her best friend and fall in love. But in a land thriving with magic, madness, and monsters, fate has other plans. From New York Times bestselling author of The Lunar Chronicles, Marissa Meyer, comes a vision of Wonderland like none you’ve seen before, telling the untold story of the girl who would the notorious Queen of Hearts.